Kid Friendly Rating: Not Applicable. Kids generally would not grasp the book, short of about age 16. 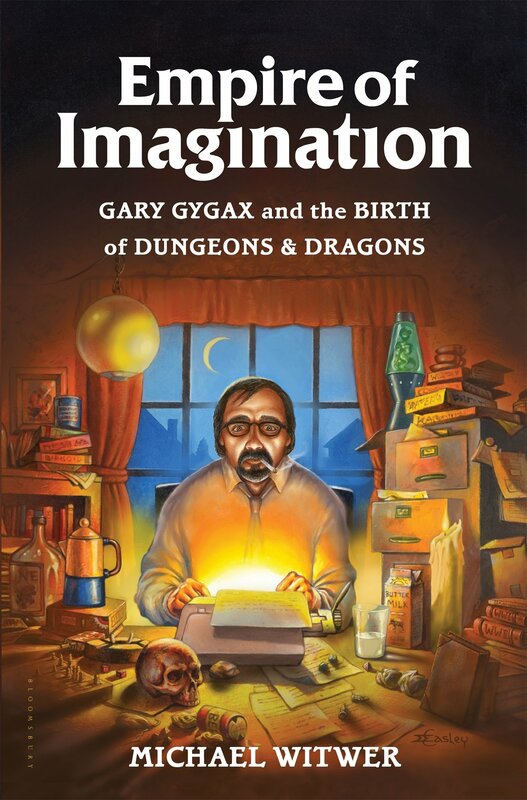 Synopsis: This is it, the story of the man who would go on to create Dungeons & Dragons, the game that really started what we all love. Details of Gary’s early life lead in to his own personal adult life, the founding of Gen Con as a wargaming convention in Lake Geneva, the formation of Tactical Studies Rules, Inc., and on to the fall and loss of the company and game. Witwer lays bare the details about the relationship between Gyga and Dave Arneson, the other man credited with helping to make D&D the game it became, to the eventual takeover by Lorraine Williams, and her disastrous reign that led to the purchase of the game by Wizards of the Coast. He spares no details even about personal bits of Gary’s life that didn’t help, or sometimes even led to poor decisions, along with the ones that made him a success. If you have any interest in the origination of our hobby, read this book. Final Thoughts: If you are interested in the back story of the game, of the foundation of a hobby so many of us share, pick this book up. Witwer’s dedication to telling the truth, even when it paints the “Patron Saint of RPGs” in a less-than-spectacular light makes the book amazingly entertaining and informative. I tore through this one in less than a day. Have you read this book? Give us your thoughts!